Being the renowned names in the industry, we manufacture, supply and export an extensive range of Guar Gum Powder. Our entire product range is water soluble in nature and has excellent thickening property. In order to cater diverse requirements of the clients, we offer an extensive range of Food Grade Gum Powder that are used in food industry as a excellent, thickener, binding agent, gelling agent, emulsifying agent and different others. Owing to its long shelf life and excellent quality attributes, they cater diverse requirements in the global market. In order to meet the diverse requirements of the clients, we offer an extensive range of Guma De Guar that highly viscous in nature. These products are used in oil drilling agents as a synthetic polymer, surfactant and drilling aid. We offer the entire product range in bulk range thereby delivering an exceptional range of products. We deliver them in air-tight packaging theory retaining its quality. 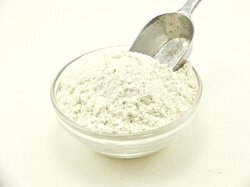 Guar Gum Powder the polysaccharides dissolves in water to give two hexose sugar, namely galactose and mannose. Both of these hexose sugars dissolve in cold as well as hot water, but do not dissolve in most of the organic solvents. The guar gum forms a highly viscous solution in water, even when used in minute quantity. However, strong acids cause hydrolysis, thereby reduces the viscosity. There may also be loss of viscosity when highly concentrated alkali is used. Addition of borax solution results in formation of a gelatinous mass. 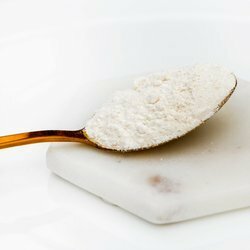 Guar gum is also compatible with agar, alginate and starch, among others. In order to meet the individual requirements of the clients, we offer wide range of Gomme Guar Powder that is acclaimed among the clients for excellent quality and durable standards. We offer them in varied specifications and are water soluble in nature. Our entire product range is water soluble in nature and finds wide application in different industrial segments. They have excellent hydrogen bonding and are available at most affordable rates. We also manufacture Guar Gum. The guar gum is a polysaccharide which in water gives hexose sugar, mannose and galactose. These hexose sugars are soluble both in cold and hot water but it is insoluble in most of the organic solvents. In water it gives high viscosity even used small quantity. Strong acids cause hydrolysis and loss of viscosity; alkalies in strong concentration also tend to reduce the viscosity. Adding borax solution will form a gelatinous mass. Guar gum is compatible with starch, alginate, agar etc. It is easily soluble in both hot and cold water. Remains stable in solution over wide range of pH values from 5-7. Resistance to oils, greases and solvent. Compatible with many other hydrocolloids used in food formulations. Versatility due to number of free hydroxy groups to make derivatives for specific applications. We are leading manufacturer and supplier of Halal Guar Gum. 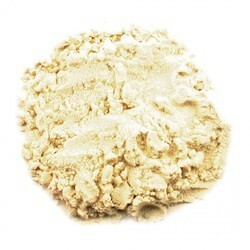 Off White Guar Gum Powder. From Guar plant‘s (Cyamopsis tetragonolobus) endosperm Guar Gum is derivative. Guar is a legume (a plant of pea family) crop grows best in sandy soils and needs moderate, flashing rainfall with lots of sunshine. Guar gum is found in the seeds of two annual leguminous plants (Cyamopsis tetragonolobus and psoralioides). Guar gum is useful as a thickening agent for water and as a reagent for adsorption and hydrogen bonding with mineral and cellulosic surfaces. It is an edible carbohydrate polymer. 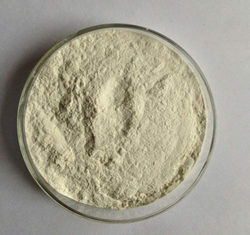 It is non-ionic, free flowing, low pale white colored, coarse to fine grounded powder and is water-soluble hydrocolloids. We are amongst the well-known names in the industry, offering wide range of Dehusked Guar Gum Powder that are accurately formulated using advanced tools and technologies. our entire product range have excellent thickening and emulsifying properties and are used as the base for the preparation of sauces, baking mixes, milk products and dressings. They are also used as reagent for hydrogen bonding with cellulosic surfaces and minerals. We offer them at most affordable rates. Enriched with vast industrial experience, we offer an extensive range of Agriculture Guar Gum that is highly effective in nature and caters diverse requirements of petroleum, pet food, explosives, and paper and allied others. 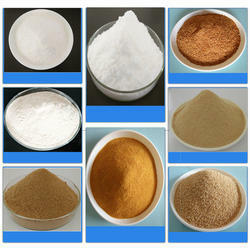 These products also find wide application in the manufacturing of gar gum powder. We offer them in different capacities and can be customized as per the requirement. We are the leading manufacturer and supplier of Odorless Guar Gum Powder. It is non-ionic, free flowing, low pale white colored, coarse to fine grounded powder and is water-soluble hydrocolloids. 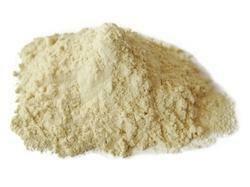 We are a leading manufacture of Guar Gum Split Powder. 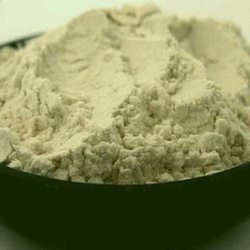 Guar gum is used as a thickener and emulsifier in commercial food processing. It has almost 8 times the thickening power as corn starch, and is used in dressings, sauces, milk products, and baking mixes. 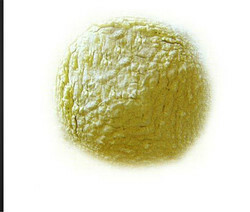 It is also used in paper manufacturing, textiles, printing, cosmetics and pharmaceuticals.